In most ex-Sovet republics, Independence Day marks the anniversary of their independence from the Soviet Union. However, there are exceptions. The Baltic states, for example, prefer to celebrate their original establishment as sovereign nations after the First World War, and Belarus celebrates its liberation from the Nazis. The Byelorussian Soviet Socialist Republic declared its sovereignty on July 27, 1990. The country’s Declaration of Sovereignty came into force on August 25, 1991, following the August Coup in Moscow. Belarus formally became an independent state in December 1991, after the ratification of the Belavezha Accords which formally declared the dissolution of the USSR. Between 1991 and 1995, Independence Day of Belarus was celebrated on July 27 to commemorate the Declaration of Sovereignty of Belarus. However, it changed in 1996, after seven-question referendum was held, with four questions put forward by President Alexander Lukashenko and three questions put forward by the Supreme Council. The first question, proposed by Lukashenko, was whether Independence Day should be moved to July 3 to commemorate the country’s liberation from the Nazis in World War II. This proposal was supported by almost 90% of voters, and so the new date of Independence Day was officially confirmed. The end of Nazi occupation was indeed an important milestone in the country’s history. Belarus was the hardest-hit Soviet republic during the Second World War because of its closeness to Poland, which was the first country to be invaded and occupied by the Nazis. Belarus was invaded by Nazi Germany on June 22, 1941 in the course of Operation Barbarossa. By August 1941, all of its territory was occupied by Nazi Germany. The Nazi occupation of Belarus lasted for three years. The Nazis deported hundreds of thousands of people for slave labor, killed hundreds of thousands of civilians, destroyed numerous settlements, and eliminated between one and two million Belarusian Jews. In 1943, local collaborators were allowed to set up the Belarusian Central Rada, a client state that lasted until the liberation. In the summer of 1944, the Soviet Union launched Operation Bagration, also known as the Belorussian Strategic Offensive Operation. It cleared Belarus and eastern Poland of German forces and completely shattered the German front line. The capital of Belarus was liberated on July 3, 1944. The anniversary of the long-awaited liberation is now celebrated as Belarus Independence Day. 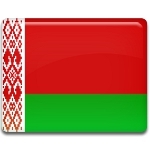 Independence Day is the national day of Belarus. It is marked with numerous festivities, including parades, official speeches, cultural events and firework displays held throughout the country. The largest celebration, including a solemn military parade, takes place in the Belarusian capital of Minsk. The city of Gomel hosts a series of concerts and other cultural events with a special emphasis on the Belarusian identity.